Gather around, Toons, and let me tell you a terrifying tale... It's a tale of Toons like no other, ones that prowl this path only on a single night of the entire year... This is no dog's tail, monkey tail, or even a Doodle tail -- This, my great ghoulish group, is a Black Cat's tale. It was a dark October night, here in Toontown Central. The Toon Council was up late in their chambers, watching the door anxiously. They knew it was coming... Halloween's most horrific hilarity, a force that couldn't be stopped! The clock struck twelve, and with a loud and enormous thud -- IT WAS HERE! Cue the lightning, Fluffy! Phew. That story always gets me. You don't know fear until you see how many names we have to approve on Halloween night. It's a true monster! I hope I didn't scare you too much, however, because Halloween has only just begun! You see, every year on this day, a band of frightful felines make their way into Toontown. 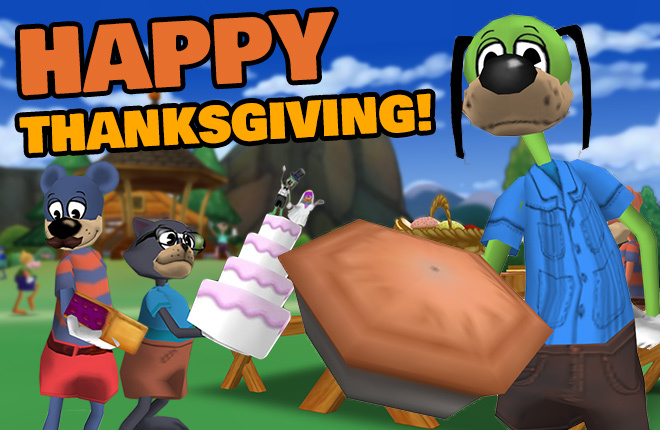 These Black Cats only come around once a year, available to any Toon who knows the "Toontastic!" phrase that unleashes the spell. Any cat who wishes to walk the path can come find me on Tutorial Terrace or in Toon Hall. By the way: This year is the last year I'll be offering to turn existing cats into Black Cats. In the future, all black cats must cross Tutorial Terrace to be transformed. I need to save some of my tricks and treats for the new Toons! Speaking of Tricks and Treats, tomorrow is the last day of Toontown's Trick or Treat week, which is when Jack O. Kazam's curse will wear off! 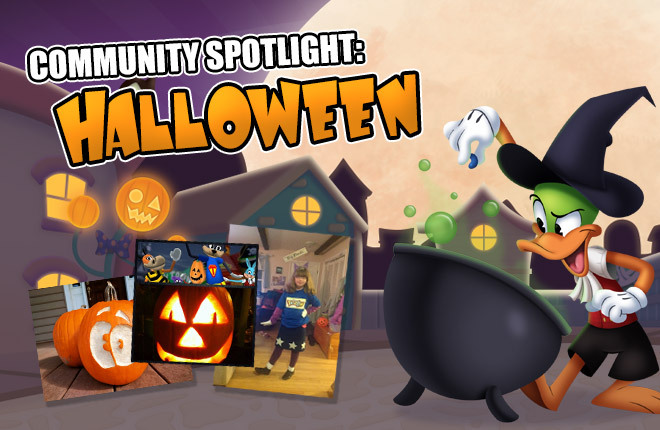 Click Here to read about the frights in store before Spooktown turns back into Toontown. Have a Horrifically Happy Halloween! I've been waiting all year for this! Finally it's here :)! Yay! Time to start that new black cat toon I'd been planning. Happy Halloween! Sounds cool! Happy halloween everyone! Shame existing cats won’t get any magic! You’d think after all these years more cats wouldn’t be strolling through the toontorial! Yay! Time to finally turn black! Awesome! That story always gets me, too! And wait... IS THAT A DOODLE WITH AN ACCESSORY I SEE? 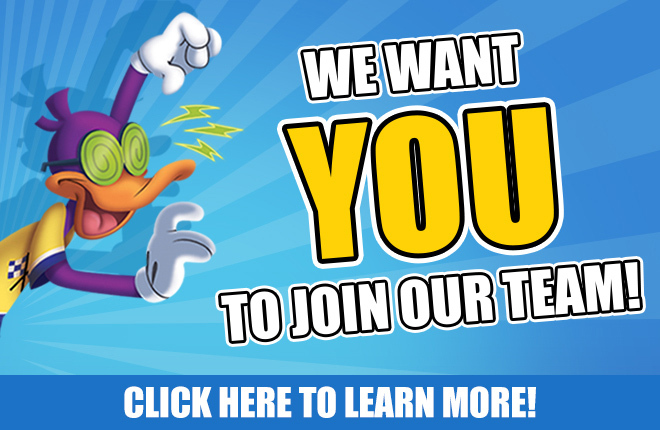 Toon HQ: Black Cats are taking over Toontown! 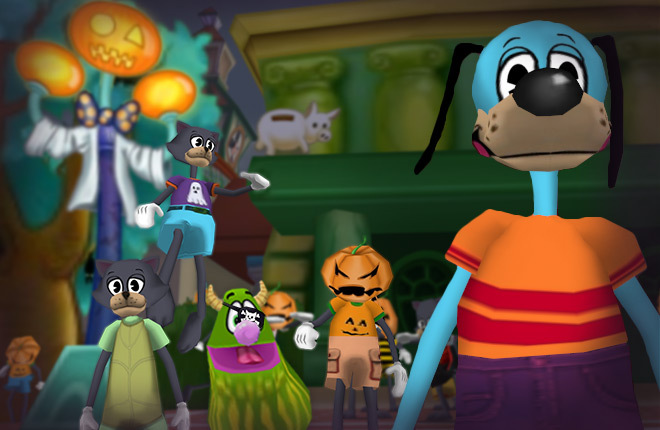 Eighth Halloween on Toontown, never gets old. Much love, and Happy Halloween! I feel you, Flippy. Midnight IS overused. Happy Halloween and All Saints' Day! "Ironically, most of which were named "Midnight" LOLOLOLOLOL! Thanks for turning my fur black, Flippy! Now, I look just like my human counterpart, who happens to have black fu--, er, hair, just like me! Happy Halloween! My favorite thing about this time year in Toontown is all the clever names people come up with for their new black cats. 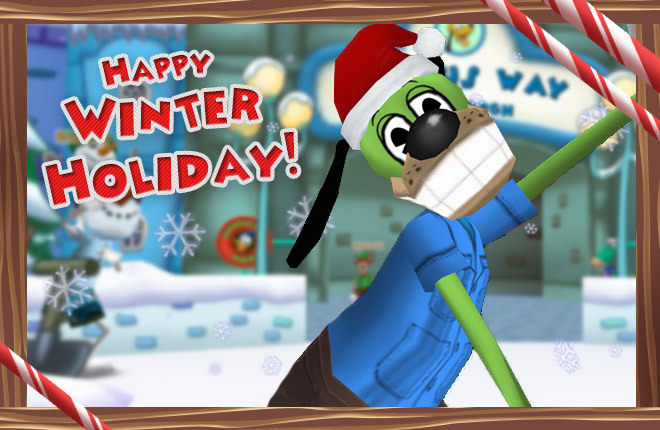 its my favorite holiday of the year of toontown i wonder when field offices will come out THAT will be my best holiday. The NEW Twelve Days of Winter Are Here!